These are found in 10 different sizes. The best Liquid Coolers thing is that it can hold 15 to 1000 tons of ammonia refrigeration. 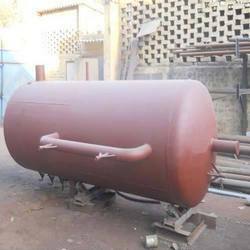 It mainly works by gas and liquid coolers, which cools liquid ammonia from the receiver end. Once the cooling is done, the lower stage gets loaded as the gas is passed onto the high end compressor. 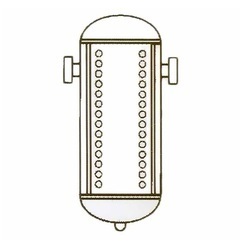 In order to meet the diverse requirements of the clients, we offer world-class range of Ammonia Receiver that is valued for high strength and durable standards. Our entire product range is valued for wide industrial sectors. They are corrosion resistant in nature and are thermostatically balanced. 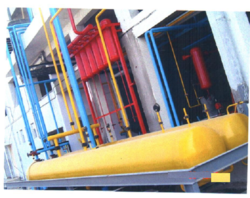 We are renowned as the most popular enterprises in this industry, offering a supreme quality Oil Separator. The separator offered by us is sourced from our reliable vendors under the presence of our highly experience procurement agents. 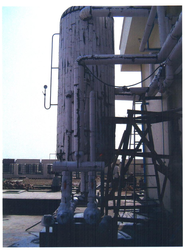 Our offered separator is used to filter oil from the air in various petrochemical plants, oil & gas refineries. Moreover, the separator offered by us can be availed by our clients at nominal price. 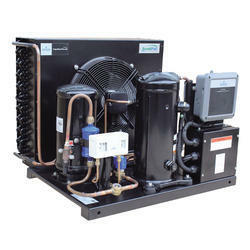 We are also engaged in offering Freon Refrigeration Plants. 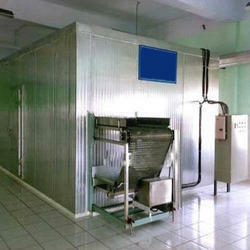 We have vast experience in Cold Stores and Blast Freezing applications. 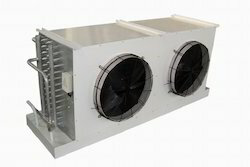 This unit that we provide is very Evaporator Unit unique as it is thin and can be used for different purposes. The sleek design is an added advantage. It is made by highly efficient engineers, where our associates use high quality of material to make these products like stainless steel. The best thing is that it is found in different ranges to fit the needs of your clients. Ammonia Refrigeration Plants are perfectly made with an excellent quality under the close surveillance of our expert engineers. Our main goal is that our clients would use them without any inconvenience or trouble. It is designed in such a way that it would enable you to work on any project easily for a longer period. Banking on years of understanding of this domain, we present patrons with the best quality of Plate Freezer. 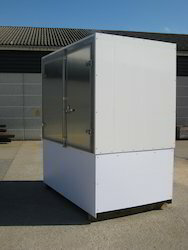 Fabricated by using modern machinery, the plate freezer is used to protect meat, fish and vegetable from getting dehydrated during the process of refrigeration. Known for its consistent performance, the plate freezer freezes materials in very less time. Matching up with the diverse patrons’ needs, we render the finest quality of IQF Freezer Peas Plant. The IQF freezer Peas plant is free from vibration and is acclaimed for its sturdy construction, energy efficiency and consistent performance. Known for its user-friendly operations, the IQF freezer Peas plant is fabricated by using modern machinery. 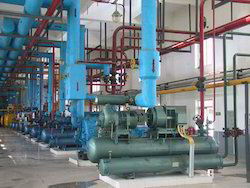 Looking for Industrial Refrigeration Plants ?